This season, we are delighted to welcome UK-based Royal Academy of Arts to our list. Publisher of major surveys on Abstract Expressionism and Painting the Modern Garden, as well as monographs on artists ranging from Joseph Cornell to David Hockney, the Royal Academy of Arts was founded in 1768, and possesses one of the most extensive archives and collections of British art from the late eighteenth century onwards. 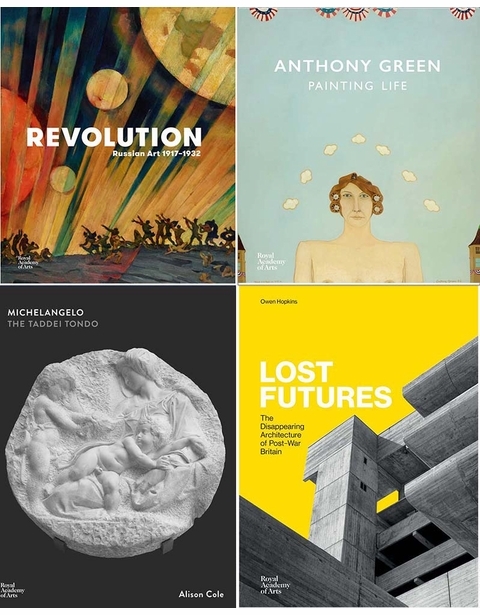 Forthcoming titles include the comprehensive survey, Revolution: Russian Art 1917–1932; a new monograph on painter Anthony Green; a detailed study of Michelangelo's marble relief, the Taddei Tondo; and the fascinating architecture survey, Lost Futures: The Disappearing Architecture of Post-War Britain. 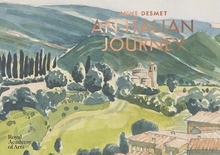 Anne Desmet's tiny and charming book of travel watercolors, An Italian Journey, is a new release this week. Hbk, 6 x 4 in. / 120 pgs / 60 color.